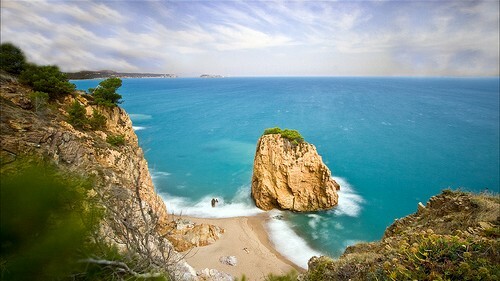 The creek, formed by a long beach, is located between north Begur and south Pals. In fact it is part of the landscape through which runs the coastal path between Sa Riera (in Begur) and Platja del Raco (in Pals). Illa Roja cove length is about 120 meters and a width of 20, being flanked on the rear wall by a huge rock on which the mentioned coastal path runs. 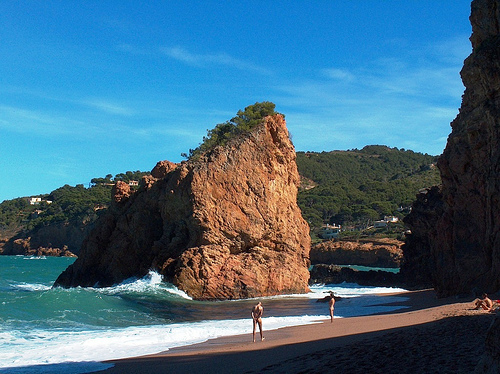 Illa Roja is the only beach in Begur where you can practice nudism. Due to its location it can not be reached directly by car, if not going through this coastal path. 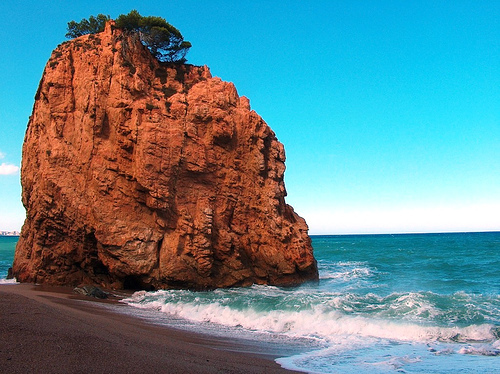 The easiest way to reach Illa Roja is from Platja de Pals (Pals Beach) side, in the north. You will be able to enjoy a fine golden sandy cove with clear water, very large and with very little agglomeration. No showers are available, but a beach bar is set up in summer. Views of Medes Islands in the distance, little miles away, are really impressive. 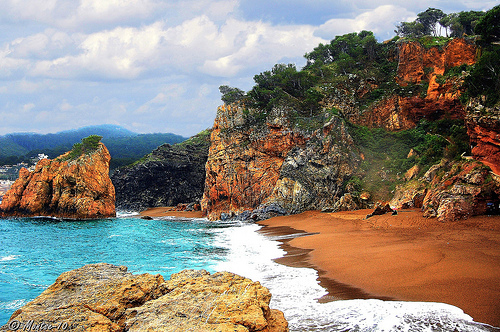 One of the main attractions Illa Roja cove offers to the bathers are the snorkel activities. Around the big red rock in front of the beach grows an important underwater population of fish and other marine species. So don’t forget your dive mask to enjoy this opportunity when come to Illa Roja beach.